franco wrote: The last of the present order for BMP-3 (200 plus) has just been delivered. Not aware of any further orders announced. What about the upgraded variants that were recently shown? This order is an updated version over the previous orders plus there is an upgrade program in place... how many not sure. so how many BMP-3s we have now in Russian Army? The 70th Guards Regiment of the 42nd Guards Division stationed in Chechnya upgrades to the BMP-3. The infantry fighting vehicle BMP-3 is equipped with the 19th, 20th, 27th and 136th motorized rifle brigades, the 4th military base and at least four training centers. The video footage made on social networks, made on April 7, 2018 in the village of Petrovka of the Rostov Oblast (40 km from the border with Ukraine - in fact, with the DNR) and demonstrating BMP-3 infantry fighting vehicles, presumably from the 102nd Motorized Infantry the regiment of the new 150th Motorized Rifle Idritsko-Berlin Order of Kutuzov of the division of the 8th Guards Combined-Arms Army of the Southern Military District (dislocation of the regiment - the village of Persianovsky of the Rostov Region). 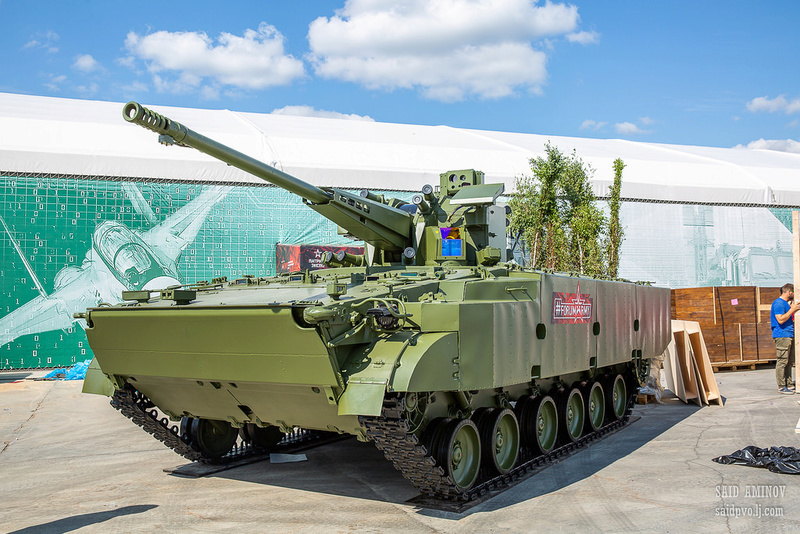 According to a number of reports, the 102nd Motorized Rifle Regiment received at least one battalion of BMP-3 of the new production of Kurgan Machine-Building Plant JSC under the contract of the Russian Defense Ministry of 2015. As you can judge, the video shows the BMP-3 manufactured under this contract and differing in the installation of the combined sight of the SODEM B03S03 Sodema with a thermal imaging channel (the manufacturer of the sight is JSC Vologda Optical and Mechanical Plant, part of the Schwabe holding company). The 150th Division is actually located at two bases. The main base is at Kadamovsky and houses the 102nd Motor Rifle Regiment and 68th Tank Regiment along with Divisional support units. This base is just to the north of Novocherkassk. The second base is at Kuzminsky and houses the second Motor Rifle Regiment and the Division Artillery Regiment. This base is between Rostov and Taganrog and about halfway up between the Ocean and Donetsk border. It was in this area that these photos were taken. According to media reports in October 2017, "The newest BMP-3 infantry fighting vehicle will be supplied to the motorized rifle formation of the 58th combined arms army in Dagestan by the end of the year, more than 100 vehicles will be delivered. As the press service of the Southern Military District reports, the new armored vehicles will replace the outdated BMP-2 as part of the rearmament program. " 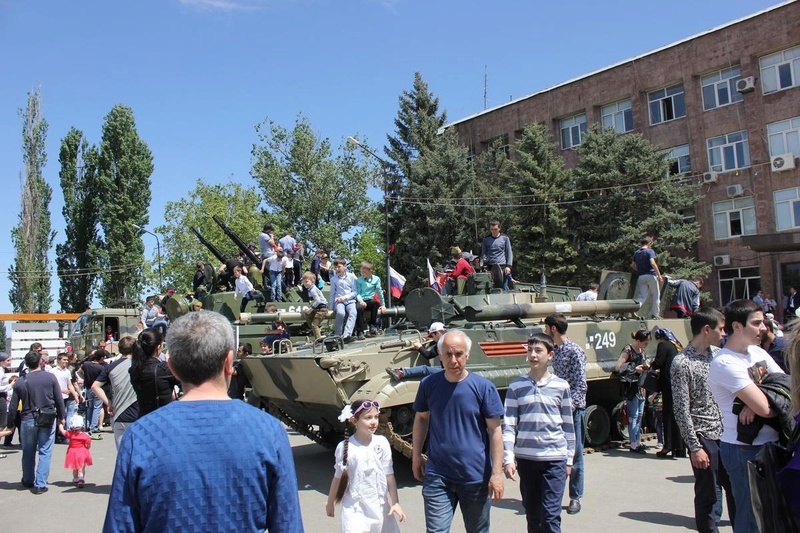 In April 2018, the Ministry of Defense of the Russian Federation reported: "As part of the rearmament program for the Southern Military District (South Ossetia), the motorized rifle formation of the 58th All-Arms Army deployed in Dagestan received the first batch of the newest models of infantry fighting vehicles BMP-3. The first approbation in the combat conditions, the new equipment will be delivered at the Dal'nii Combined Arms Range during the passing of control exercises for the winter training period. " The first BMP-3 vehicles the 136th Brigade received in 2010 to equip the training company. It was supposed to retool the entire brigade on BMP-3, but then these plans did not materialize. Behind is also seen the new Tunguska-M1. 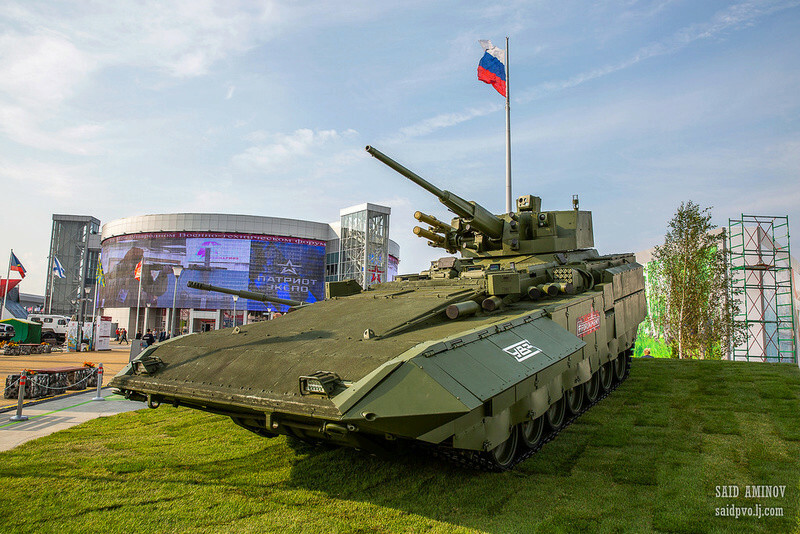 The vehicle seems largely based on the BMP-3M upgrade showcased at Kubinka in 2015. If features the upgraded gunner sight complex sodema (as per BMP-3M for Russian Army) and "Schürzen armor" on the sides, rather than the addon modules seen on Russian vehicles. yes it is iraqi. some have already arrived in iraq alongside a simulator. We all know about the 57mm AA gun development mounted on the bmp-3 but is there plans to mount the 57mm gun on bmp-3 in role of AFV? I've seen articles on BTR-80 version with 57mm gun. d_taddei2 wrote: We all know about the 57mm AA gun development mounted on the bmp-3 but is there plans to mount the 57mm gun on bmp-3 in role of AFV? I've seen articles on BTR-80 version with 57mm gun. My understanding is that the 57mm guns are designed for dual anti-air and ground use anyway. In theory as long as a gun can elevate high enough it could engage aircraft and of course an dedicated anti air system like tunguska can lower it's guns to engage ground targets. The new AA 57mm gun system is a dedicated air defence weapon that can target ground targets. and the AU-220M Baikal RCWS turret has been mentioned on btr -80 and bmp-3 nothing concrete yet. and having a dedicated 57mm turret for AFV use would likely have kornet attached to it. AA system would likely have some sort of radar attached. The btr-82 30mm gun is a dedicated ground attack turret but in theory could engage a helicopter. on some forums some where surprised at iraq buying such mostly down usa influence and buying of usa weapons. but I remember reading an article when UAE were deciding on a AFV they invited various companies with various vehicles to be tested on desert climates and they were put through their paces. and although Bradley vehicles on paper looked good having TOW and good armour they proved not to be very reliable. The bmp-3 was chosen not because it's was cheaper and had a multitude of weapons including atgw capabilities but because it coped better in the desert climate. so its no surprise that iraq chose it having similar climate. Kuwait also have it and Saudi rumoured to be interested although it's gone quiet on it. Wasn't the idea behind the 57mm AA capability to have some sort of radar vehicle feeding data to the AFVs? Fitting a dedicated radar on each AFV could get expensive. This is the 2S38 Derivatsia, a dedicated AAA system. This turret version will be fitted to some vehicles for multi-purpose use. All new vehicles are fitted with datalink systems. In case of need air defence vehicles or radar systems organic to the unit will transmit data to AICV´s to guide their weapons in air defence mode. Even older forces using BMP and BTR and MBTs will get new weapons no doubt... the new vehicles get 57mm guns for the IFV platforms because the 30mm guns are not good enough to engage enemy IFVs... well that logic would apply of an old unit with BMPs came face to face with enemy IFVs so they would need 57mm guns too. Of course the priority would be for new vehicles I would suspect, but eventually the old vehicles could get new turrets added to make them more compatible... but the obvious problem is that the old vehicles had a commander and a gunner in the turret while the new turrets will be unmanned. The btr-82 30mm gun is a dedicated ground attack turret but in theory could engage a helicopter. And it would also be useful against targets behind front cover but with no top cover (ie behind a brick wall). The bmp-3 was chosen not because it's was cheaper and had a multitude of weapons including atgw capabilities but because it coped better in the desert climate. so its no surprise that iraq chose it having similar climate. Kuwait also have it and Saudi rumoured to be interested although it's gone quiet on it. Also it does not get credit in the west but in flat open terrain like in the desert having a 100mm gun able to fire HE rounds out to 7km range is a rather potent and powerful weapon against a variety of targets 30mm cannon fire would not have much effect upon. In most air defence units all the vehicles link together and share target data, normally with one vehicle managing the engagements so they don't all open up on the same target and ignore the other threats. Targets are given to vehicles so all targets are engaged... equally if it is 6 Tunguskas then they don't all need to operate their radar in scan mode to find targets. So a gun vehicle with a 57mm gun would not need its own radar as long as it operated somewhere where the air was being scanned by something for targets it would be fine. 97 infantry fighting vehicles BMP-3. Relevant documentation is published on the government procurement website [the government procurement website is unavailable until January 6, 2019. From it follows that the Tula enterprise for this purpose will spend 6 billion 109 million 658 thousand 33 rubles. The overhaul of infantry combat vehicles should be completed by October 2019. Also, this resource reports that, according to other documentation published on the website of public procurement Tula JSC “Design Bureau of Instrument Engineering named after A.G. Shipunova ”will purchase from the JSC“ RT-Kurganmashzavod ” five chassis of the infantry fighting vehicle BMP-3 (as you can understand, of new production). From the draft agreement it follows that the chassis will cost the company 231 million rubles. 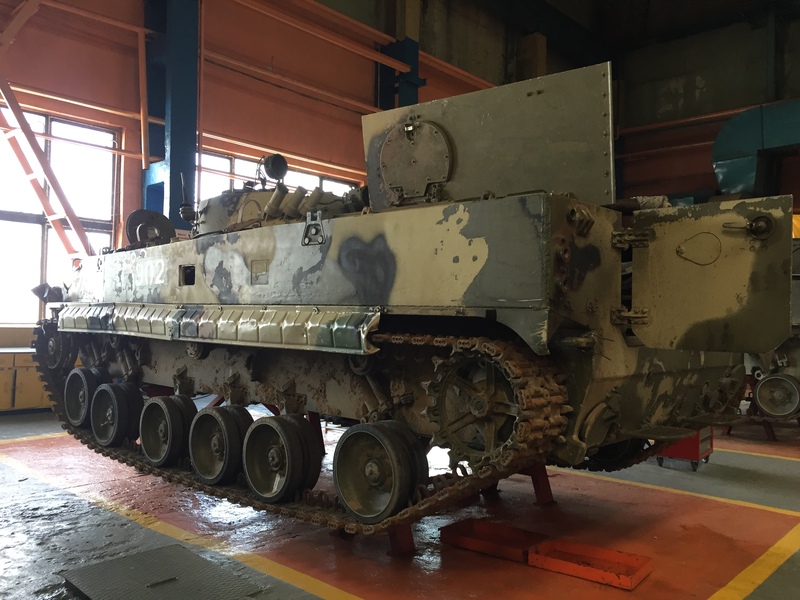 From the side of bmpd, we recall that the JSC Kurgan Machine-Building Plant (KMZ) has been overhauling the BMP-3 infantry fighting vehicles belonging to the Ministry of Defense of Russia since 2014. A new order for the repair of another 97 BMP-3 suggests that an overhaul in this way will pass all the BMP-3 of the 1987-1993 release on the balance sheet of the Ministry of Defense (then KMZ produced 339 serial machines, of which, it is estimated, now there are at least 250 units). Great videos shame they didn't fire the 30mm & 100mm at vehicles and shame they didn't fire the bastion but still great video's any footage out there of bastion being fired from any system ?